You should always love God, the Creator, more than anyone or anything. Because it will hurt very much, when you lose, your reason for existing, if that reason, is temporary. God hoped me to tell you something. I’m dying. Physically. But my soul will live on, eternally. I love your poems. They are so romantic. Thanks for sharing. Such a romantic! Listen to those angels, Frank. Heaven knows what might have greeted you had you stayed in bed! Wow. Very well written, very well felt. I love this!✨ I love your writing! Thank you for sharing. 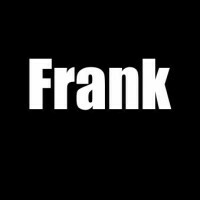 Frank, thanks for the like on my site. Peace be the Botendaddy. It’s always a pleasure reading your poetry because your words express the feeling so beautifully and precisely. It is a wonderful poem! Thank you for sharing! When alone it is difficult to not allow oneself to fall in love and rise in life with all its pleasures and pains. The truth is revealed only on experience. So beautiful ❤ I wondered how did you come up with those wondrous words! Love! You did it, again ! Exceptionally brilliant in putting it through rhythmic words. Welcome! I love your poetry – it’s always a pleasure to read them! I love love love love love this poem. I am so grateful. This is a very sweet poem, very much enjoyed it. © Frank Solanki and franksolanki.wordpress.com, 2015-2017. Unauthorized use and/or duplication of this material without express and written permission from this site’s author and/or owner is strictly prohibited. Excerpts and links may be used, provided that full and clear credit is given to Frank Solanki and franksolanki.wordpress.com with appropriate and specific direction to the original content.